To celebrate the 1 year anniversary of the release of ‘Will Travel for Vegan Food: A Young Woman’s Solo Van-Dwelling Mission to Break Free, Find Food, & Make Love’ – I’ve teamed up with VeganTravel to bring you an EPIC contest!!! The contest OPENS on Tuesday, April 19th and CLOSES on Tuesday, May 10th (11:59PM PST). 2. 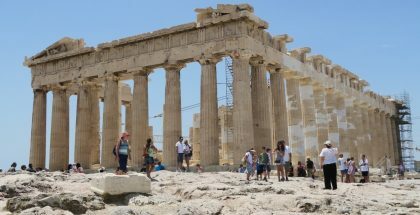 Register for an account on VeganTravel.com. Once logged in go to the ‘Traveler Updates‘ page and post the same photo there (that you posted to Instagram), with the comment, “@vegannomad in PDX” (this will ensure we see and account for your account registration). — Economy round-trip flight for 2, to and from Portland, Oregon (from anywhere within the United States or Canada). — Dinner for 6 (!!) at one of Portland’s hottest new vegan restaurants: Farm Spirit. 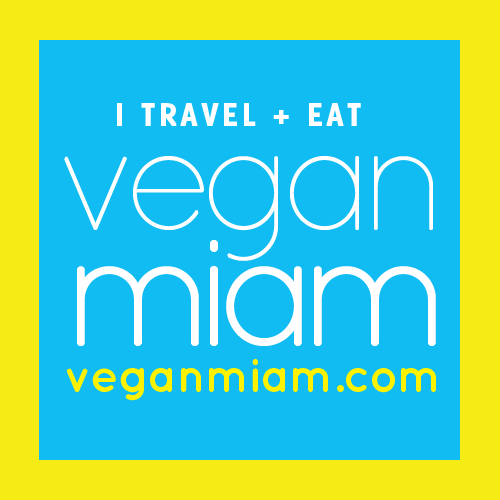 The winners of this giveaway will dine with 2 members of VeganTravel, Kristin of Will Travel for Vegan Food, and Mandi, one of VeganTravel’s sponsored travelers (evening of Friday, June 10th). — 2 “No Beer All Cheer” VIP tickets to Vegan Beer Fest on Saturday, June 11th. We didn’t want to assume that everyone who enters the contest drinks alcohol, therefore we secured the “no beer” tickets. BUT they are still VIP status, which means: Early admission to the event at 11AM, unlimited kombucha pours, cold coffee brew, and craft soda on draft sampling (food and beer sold separately with this ticket). — $100 stipend for the weekend (spend as you please). — 3 days, 2 nights (Friday June 10th & Saturday June 11th) stay at one of the most luxurious B&B’s in Portland: Lion and The Rose Victorian Bed & Breakfast. 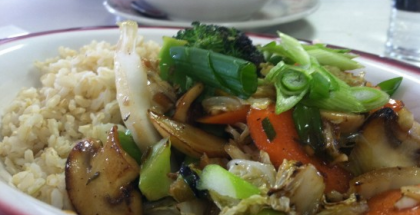 — It’s within walking distance to vegan restaurant, Blossoming Lotus!! — A fully-loaded gift basket containing: VeganTravel stickers, t-shirts, and patches; and Will Travel for Vegan Food themed canteens, tank tops, bumper stickers, and 2 signed copies of Kristin’s memoir.